Work resumes today on a full makeover for a street in one of Buffalo's East Side neighborhoods where an advanced manufacturing training center is being built. Construction is set to begin on road and sidewalk upgrades along six blocks of Northland Avenue, from Grider Street to Fillmore Avenue. New curbs and LED street lights will also be installed over the next several months. 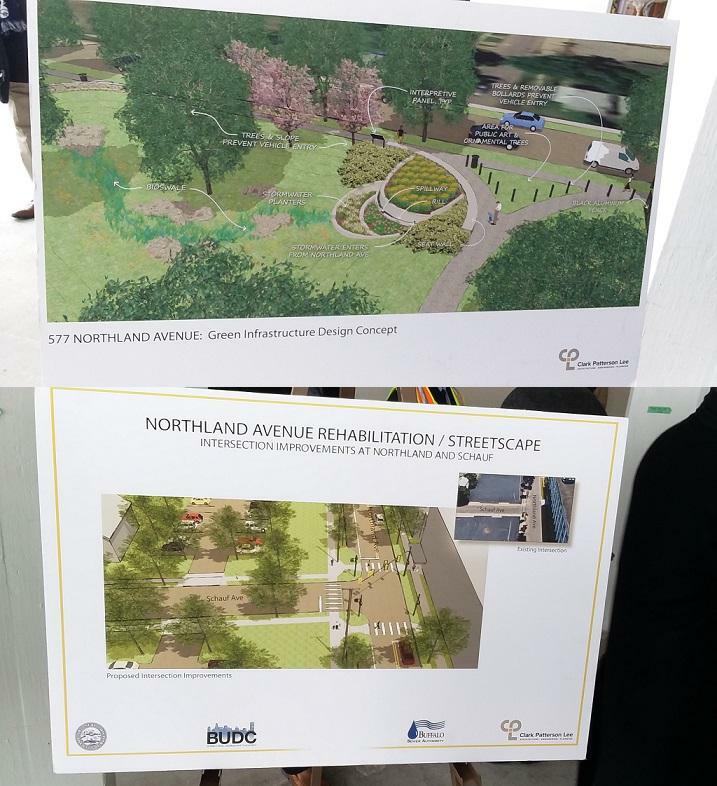 Renderings of some of the work to be completed along Northland Avenue in Buffalo this spring and summer as part of a state-funded redevelopment of that East side neighborhood. "The utility work was done in 2017. There was sewer rehabilitation and also a cleaning and lining of the existing water mains," said Michael Finn, city engineer. 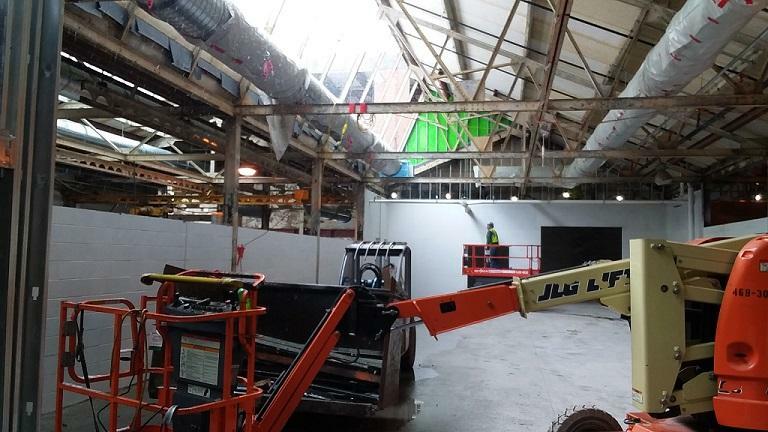 This year's work is expected to be finished by August, coinciding with the completion and opening of the Northland Workforce Training Center, the $65 million facility that is the centerpiece of a broader $100 million state investment in the Northland Corridor. Finn says the goal of the Northland Streetscape project is to create a livable, walkable neighborhood beyond the training center but also create a welcoming atmosphere to those arriving from elsewhere. "The bus service that exists on Fillmore and Delevan Avenue, we're expecting that to drop people off and then they'll be walking to access the training center," Finn said. "We're really looking to spruce this up and improve the front door to the training center to folks get a good first impression." 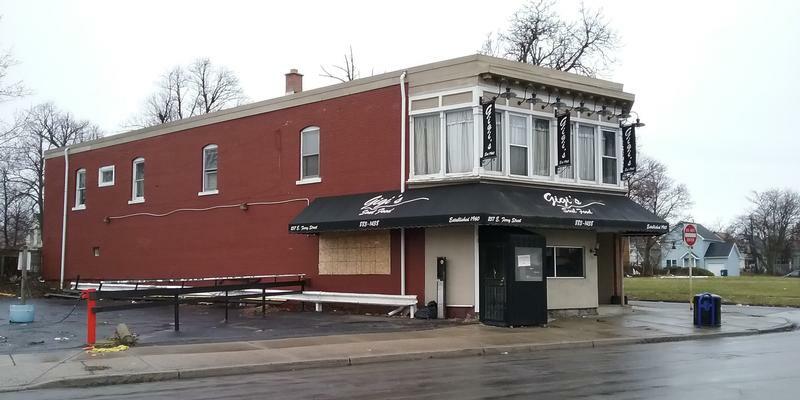 An East Side Buffalo landmark will be starting up again this summer, nearly three years after a massive fire.